Perseverance Records presents the long awaited official release of the 1980 cult classic PROM NIGHT Original Motion Picture Soundtrack. Perseverance worked closely with Carl Zittrer and Paul Zaza to locate and unearth the original masters and all music recorded for the film including unreleased disco songs and score not used in the final production, NEVER heard before anywhere! 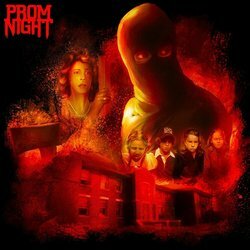 PROM NIGHT is a 1980 cult classic horror thriller directed by Paul Lynch (RoboCop, Xena: Warrior Princess, Poltergeist: The Legacy, Star Trek: The Next Generation) and stars Jamie Lee Curtis as Kim Hammond and Leslie Nielsen as Mr. Hammond. The movie focuses on four middle school children, Kelly Lynch, Jude Cunningham, Wendy Richards, and Nick McBride who hide the truth of what happened six years ago to ten-year-old Robin Hammond the day her body was found near and abandoned convent. They swore never to tell anyone of how they taunted Robin, backing her into a corner, frightened, when falling to her death while standing on a window ledge. But on that day, six years ago, someone else was there, watching, and now seeks revenge on prom night! I remember seeing PROM NIGHT during its release in 1980, when disco was still the craze. I was determined to obtain a copy of the soundtrack and to play the theme song at my senior prom only to find that it was never released. I spent years looking at the audiophile catalog at Tower Records hoping to find a release date but no luck. Now, after almost 40 years, my dream has now become a reality!! Fans alike are now able to enjoy the soundtrack! !